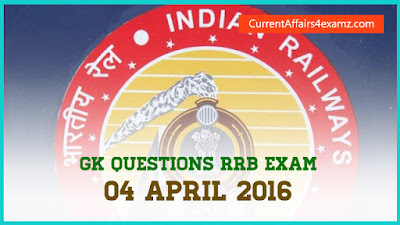 Hi Aspirants..Here are the General Awareness questions asked in today’s (04/04/2016) Railway RRB Exam 2016. This will be useful for those having exams in coming days. All the Best. We will add more questions shortly. 9. What is true about Zika Virus? - It’s transmitted by aedes mosquitoes.